Waffles are thick pancakes made on a waffle iron, with a criss-cross design on them. Cooking on a waffle iron gives them a special flavour and aroma, while the criss-cross design makes them very pleasing to look at. Waffles can be sweet or savoury, plain or stuffed. They can also be made with different batters, which use cereals, pulses and flours in varied proportions. 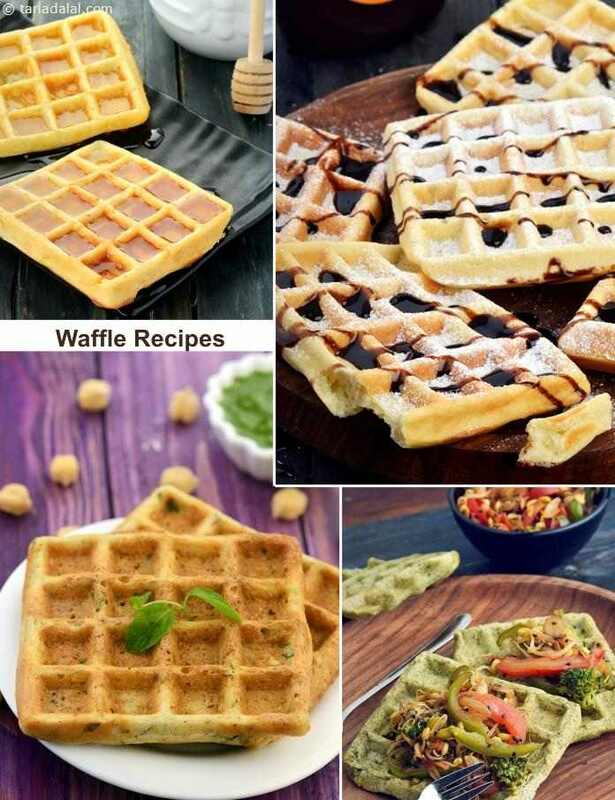 Try our interesting Waffle recipes like Spicy Moong Dal Waffles with Stir-fried Vegetables, Tomato and Oregano Waffle and Sooji Waffles. It is fashionable to serve hot waffles with ice-creams. So stay with the trend and serve hot waffles as accompaniments.